Apollo 11 is one of those films that flew under the mainstream radar when released to theaters back in January. But, if you’re a history buff, science major, or anyone interested in the capacities of humankind you’ll have a chance to pick it up on Blu-ray or DVD when released on May 14, 2019. Directed by Todd Douglas Miller (Dinosaur 13), the documentary features never-before-seen 65mm footage (printed to 70mm using a 4k digital intermediate) and new audio from over 11,000 hours of recordings chronicling the Apollo 11 mission to land on the moon. 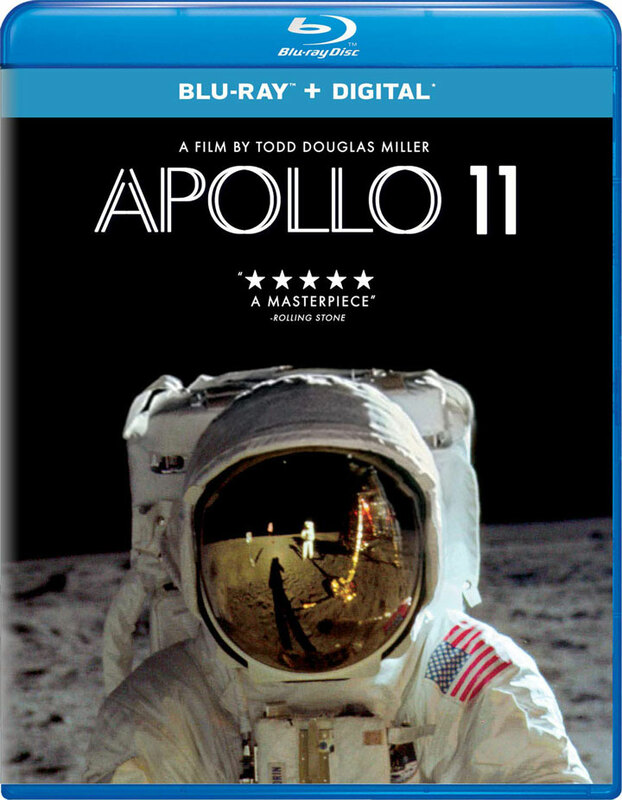 Apollo 11 Blu-ray Disc is presented in 1080p at 2.20:1 widescreen aspect ratio with Dolby Digital 5.1 surround sound. The bonus features are also presented in 1080p (formats vary) with Dolby Digital 5.1. This single-disc edition from Universal Pictures Home Entertainment includes a Digital HD copy that can be redeemed with Movies Anywhere via an enclosed code. And, bonus features include “Apollo 11: Discovering the 65MM” and movie trailer. On Blu-ray Disc, Apollo 11 can be ordered from Amazon for $20.86 (List: $34.98) or DVD for $15.70 (List: $22.98).